Strawberry sundae tea - Monsieur T.
Strawberry sundae is a friendly supporter when your feeling down. From now on, life can only get better. Picture this ... a large sundae, flooded with homemade strawberry coulis. Tempting isn’t it not? The good news is that you can now enjoy these creamy, fruity flavors in a cup of tea. 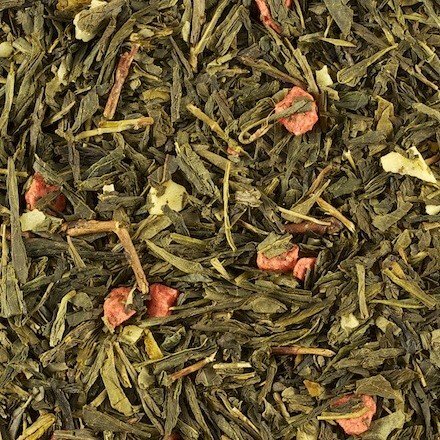 Let yourself be seduced by its rich and unctuous taste, a green tea, topped with pieces of dried strawberries. All this, without the "I shouldn’t have" or the "it's the last time". What a relief!